Texts that speak of God being one. The polytheistic henotheism of Jehovah's Witnesses is apostate doctrine: God of gods? Rom 1:25 pagans are condemned because they "worshiped and served the creature rather than the Creator". This proves Jesus is not a creature, for Jehovah's Witnesses have Jesus on both sides being a creature himself, as well as being the creator of man. 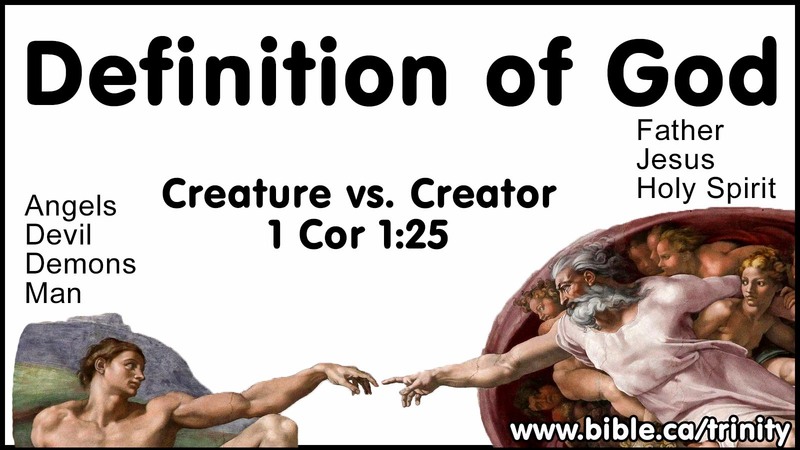 Rom 1:25 refutes this contradictory false doctrine that Jesus is a creature. The Father, Son and Holy Spirit share the quality of eternal pre-existence with each other equally. No angel, devil, demon or man have ever, or will ever possess this quality. It is absolutely unique to God. Although the Bible says God is immutable (unchangeable) this quality refers not to the presence, knowledge, power or ontological make up of God, but his core moral values. All Arians, who say Jesus is an Angel or a creature are notorious for using false dilemmas. 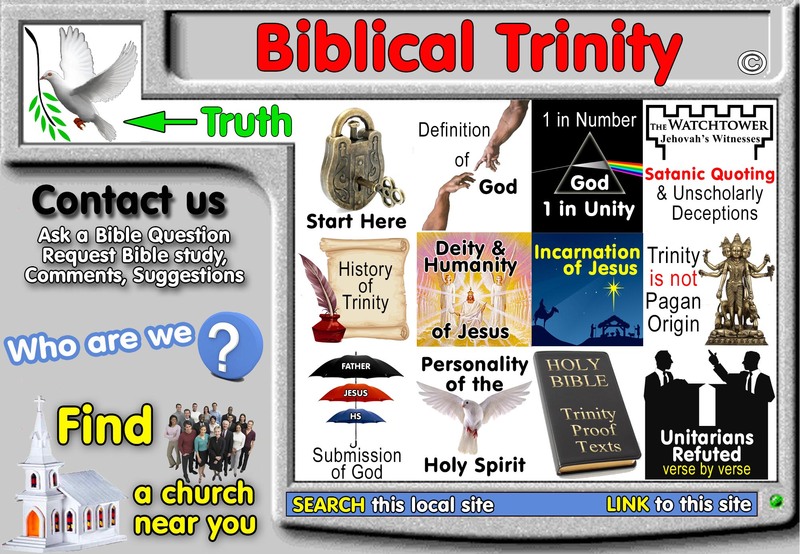 Some Trinitarians also use a few false dilemmas that will actually create problems in false doctrine because they define God in an incorrect way. Arians will say: "God is a spirit without flesh and bones" to prove that Jesus was not divine when he walked the earth. Some Trinitarians will say: "God cannot be tempted, and since Jesus was God, he was not tempted.". Both these are false dilemmas. The fact remains that while God normally is a spirit that cannot be tempted, the whole point of the incarnation is that God became flesh that was tempted as a man. Therefore Jesus is fully God while he walked the earth, although he was flesh and bones and was tempted. So when Jehovah's Witnesses deceptively try to prove Jesus cannot be God with the following false dilemma, "God is not a man, Jesus was a Man, Jesus cannot be God." Simply answer them, "Angels are not men, Jesus was a man, Jesus cannot be an angel."